This Husky Tool Backpack is tough and mobile for the pro on the go. The self-standing construction features a waterproof heavy-duty base that protects tools from impact. The 2 compartment design stores and organizes power tools, hand tools, and includes a large sleeve for a smart tablet or paperwork. The PACKOUT modular storage system is the industry's most durable and versatile storage system. The 10 -Inch PACKOUT tote features an impact-resistant molded base that connects with all other PACKOUT system components via integrated locking cleats. The durable tote is constructed with 1680D ballistic material and all-metal hardware so it can withstand harsh jobsite environments. The 10 -Inch storage tote features 28 pockets, including two zippered pockets, to organize tools and accessories for easy access and visibility. The PACKOUT modular storage allows users to customize and build their own storage system to easily transport and organize tools and accessories. The PACKOUT modular storage system is the industry's most durable and versatile storage system. The packout Cooler has an impact-resistant molded base that connects with other PACKOUT system components via integrated locking cleats. The cooler is constructed with tear resistant 1680D ballistic material, heavy-duty zippers and all metal hardware for lasting durability. The leak proof food grade liner and Dual layer insulation insures that the cooler hold ice for up to 24-hours. With an integrated tape measure clip that also works as a bottle opener and 4 storage pockets, the PACKOUT cooler is designed to carry your food, beverages and personal items to the jobsite each day. The PACKOUT modular storage allows users to customize and build their own storage system to easily transport and organize tools and accessories. 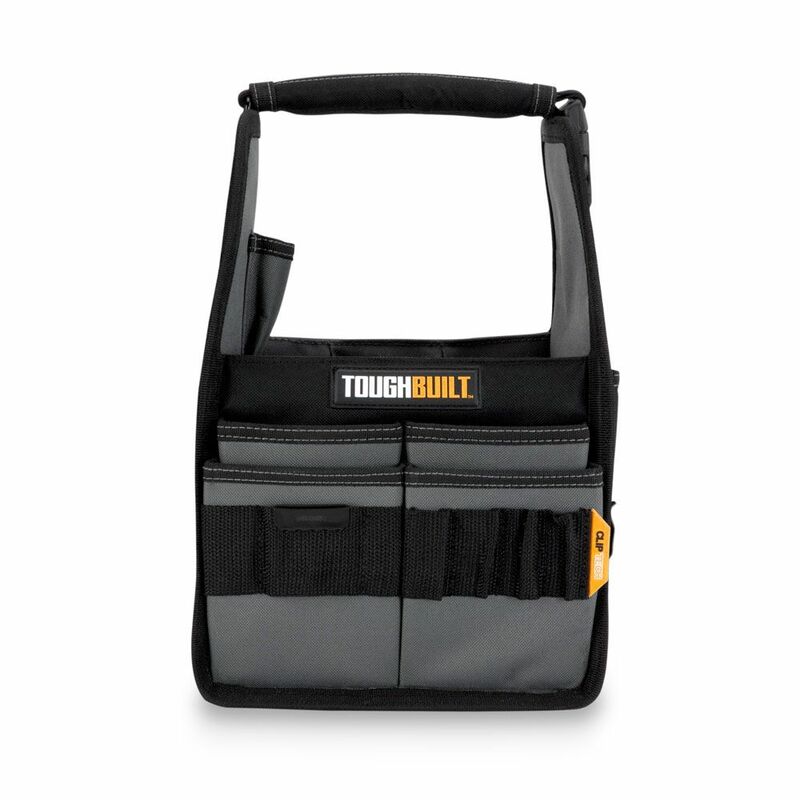 8 inch Tote Without Pouch The ToughBuilt 8 inch Tote is an ideal tool tote for DIYers and service professionals alike. Its 23 pockets include structured external pockets that flex to securely hold tools in place and internal dividers to keep everything organized. It features a quick release handle for superior visibility and accessibility. Made with high-quality rugged materials, heavy-duty rivet reinforcement and high-impact clawed rubber feet this hard-working combo keeps up with the most rigorous demands. 8 inch Tote Without Pouch is rated 5.0 out of 5 by 1.